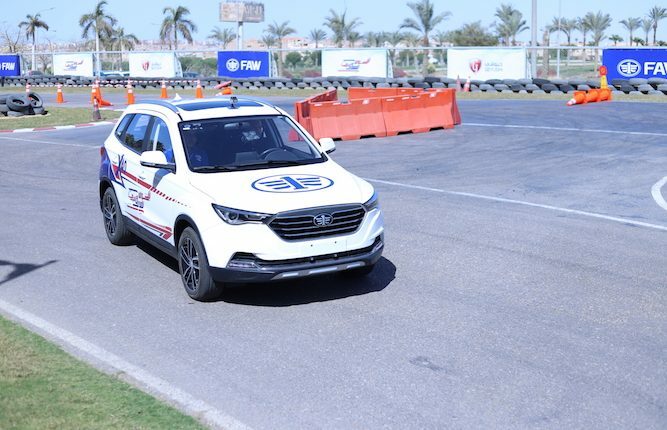 Geyushi Motors, the exclusive distributor of FAW cars in Egypt, conducted a test-drive for the latest FAW X40 model in Obour City, which was attended by representatives of media organisations, distributors, and FAW customers. Khaled Geyushi, the vice chairperson and managing director of Geyushi Motors, said that the company introduced three passenger cars for different needs: B50, B30, and X40, in addition to three trucks. He said that the company will introduce more models in the coming period, after obtaining the assembly rights for FAW in Egypt. He also noted that the company has plans to export FAW vehicles to Africa and the Middle East. The vice chairperson added that the company is in race against time to develop and provide competitive products to the Egyptian consumer, and is working to increase FAW’s market share in Egypt in order to satisfy all the company’s customers. Geyushi Motors is working hard to meet the needs of the Egyptian market, in addition to contributing to the development of the auto market in particular, and the Egyptian economy in general. The Chairperson of Geyushi Motors, Mohy El Din Geyushi, said that the company signed a strategic cooperation protocol and an exclusive dealership with FAW, not only to sell the company’s models in Egypt, but also to assemble and manufacture cars. Noteworthy, a factory for assembling FAW in Egypt will soon be launched to turn the company from a distributor into a manufacturer and trader. The company has conducted all the necessary feasibility studies. Furthermore, Geyushi thanked FAW distributors in Egypt and the customers for their trust. He said that FAW’s distribution network is the largest, as there are 18 distributors covering 25 areas around Egypt.